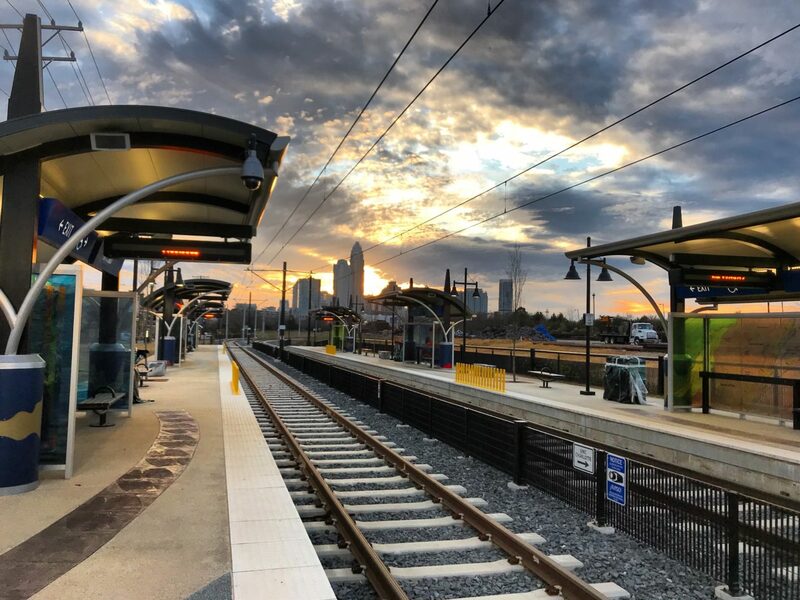 For more than a year, the Charlotte Area Transit System has been rethinking its approach to the next decade of transportation. These big ideas are starting to become more tangible — and Charlotteans now get to evaluate concrete ideas for bringing light rail to the airport and mass transit up to the Lake Norman area. The plans include some major breakthroughs. We finally get a look at a new Red Line to the north that’s not hopelessly stymied. And the western route even ventures into Gaston County. CATS is in the middle of a slate of public meetings to gauge how people feel about the different possibilities. You can weigh in yourself here. Then the hard work will begin: Finding the $6 billion to $7 billion it will take to pay for it all. Here’s an overview of what is on the table. Maps below all come from CATS. 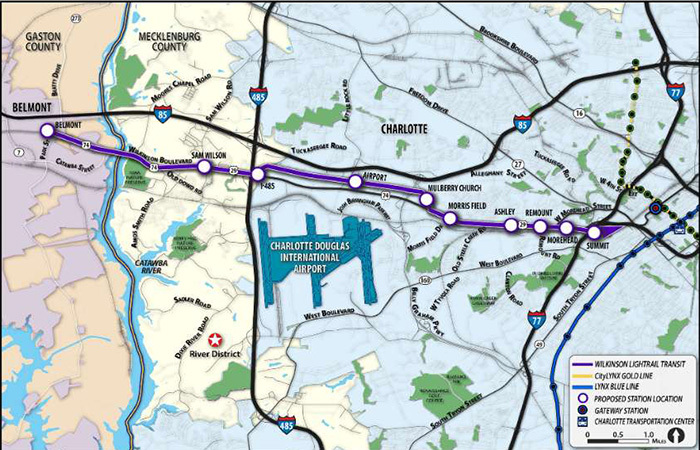 Two options for light rail to the airport — and beyond. The first option would run light rail through the heart of Wesley Heights on its way west of Uptown, following Freedom Drive in places before cutting a path between I-85 and Wilkinson Boulevard. After reaching the airport, the line would continue through to the north of the future River District and over the Catawba into the town of Belmont. The second option looks similar but is pretty dramatically different in approach. This potential line would follow Wilkinson Boulevard all the way out to the airport and then Gaston County. It would be a little faster than the first option. Wilkinson Boulevard is a lot like South Boulevard in many respects, and having light rail here could create a similar dynamic to what’s happened in South End. And similar to the original Blue Line, this alignment would require expensive bridges to bring the trains over cross-traffic. And like the Blue Line Extension along North Tryon Street, this light rail line would take massive reconstruction of the road itself — likely making the bill much higher. 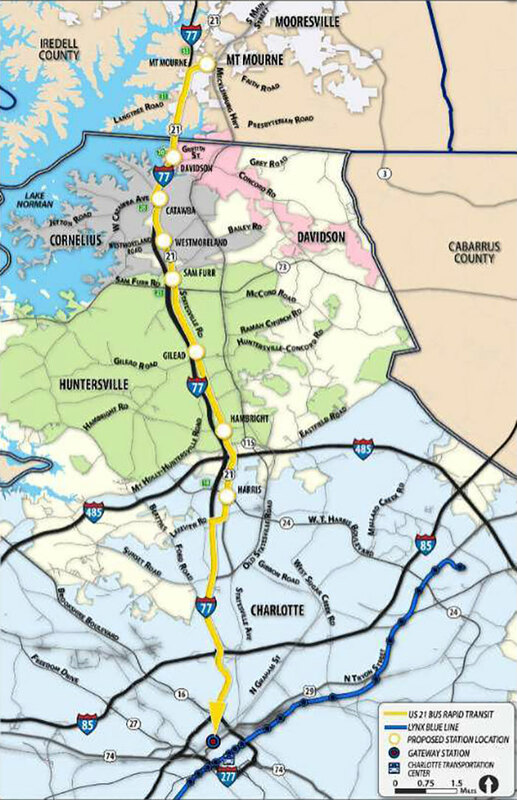 Four options for finally bringing mass transit to Lake Norman. The first option is similar to the Red Line that’s been talked about for years. 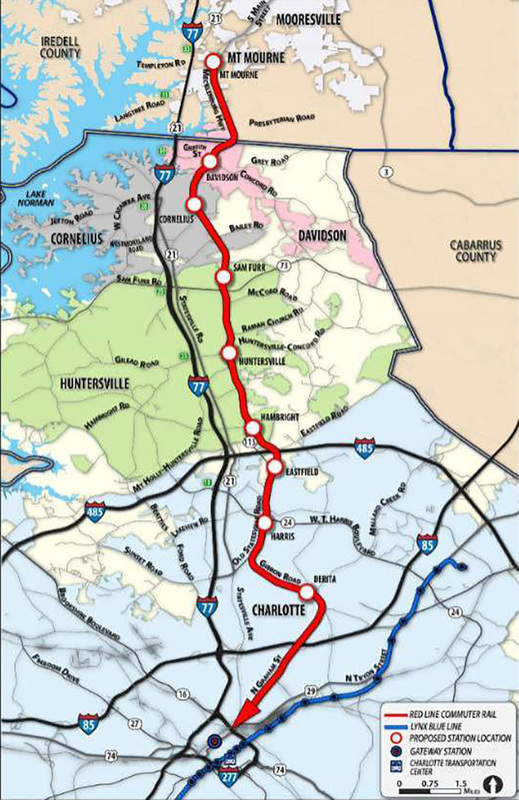 It would bring commuter rail through downtown Huntersville, Cornelius and Davidson — which is a big deal. But it also would take an agreement with the Norfolk Southern railroad company, and they’ve basically said no. CATS could keep this in their plans, but that would essentially doom a northern corridor indefinitely. 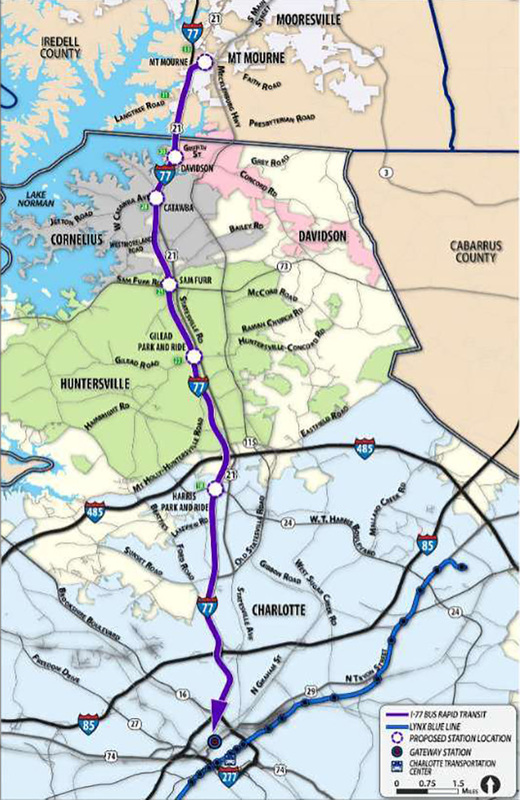 Option 2 is a bus line with only a few stops that would use the soon-to-open express lanes (toll lanes) on I-77. It’s by far the cheapest thing CATS is considering, and pretty fast. But it’s also just a bus. While it looks like a rail corridor, this is just a bus on I-77. 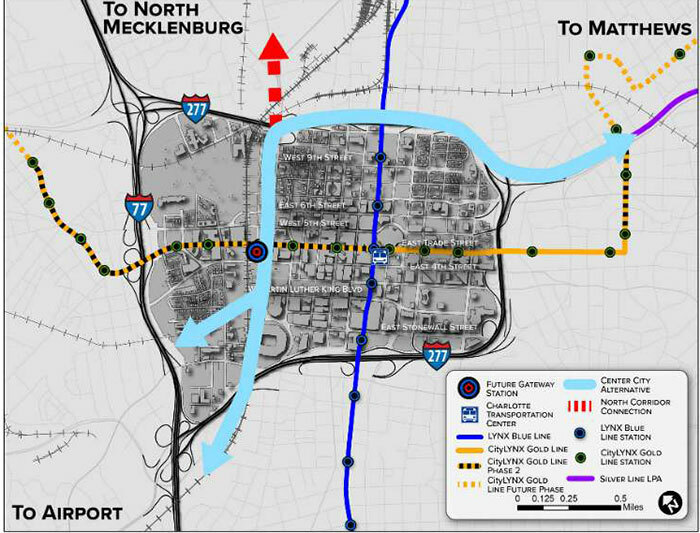 The third option is to build a new light rail line roughly along the I-77 corridor. This would be a massively expensive undertaking, including building a bridge over part of Lake Norman. It would also take about an hour to get to Uptown from Mooresville. Light rail is more maneuverable than commuter rail and can operate in more narrow corridors. It’s also more expensive. The fourth and final option to the north is another bus route, but one that would run on a dedicated bus lane along I-77 and U.S. 21. This would include some roadway construction, so it’s not dirt cheap like the other bus line — but it’s nowhere near as expensive as rail. Four options for connecting everything in Uptown — including two with a tunnel underground. Then there’s the matter of tying everything together. There are four options here. 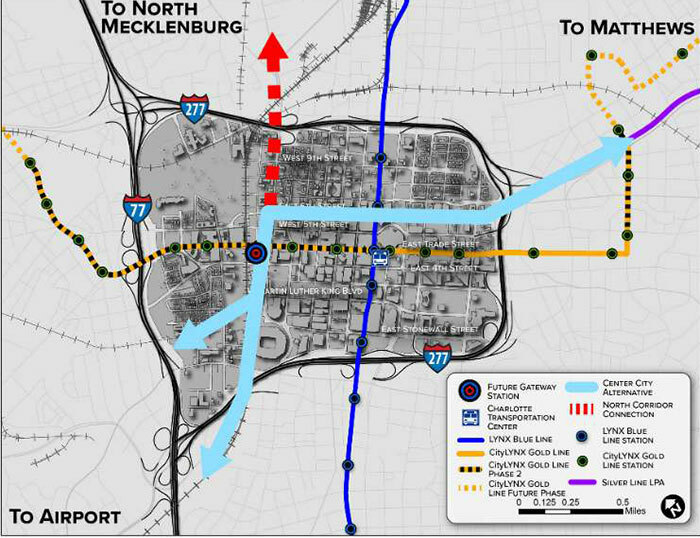 The first option uses the existing Blue Line in Uptown and the Charlotte Transportation Center to get people from one train to another. The second is similar, but uses the Gold Line streetcar route. This one is tough because streetcar is so different from the light rail and what’s being considered elsewhere. The last two are the most interesting, but the most expensive. Option 3 creates a new mini light rail line that would run underground through a tunnel from Graham Street east under the heart of Uptown to I-277. It would use the forthcoming Gateway Station is the main hub to get on and off. The fourth and final option also involves a tunnel at Graham Street, but a shorter one that pops up and then runs along the surface near I-277. This would move most of the transferring of lines outside the heart of center city. There are some real decisions to make here. It’s fun to look at maps and dream, but the proposals CATS is bringing forward has big implications. How serious is Charlotte about getting mass transit to the northern suburbs and alleviating congestion on the busiest road in North Carolina? 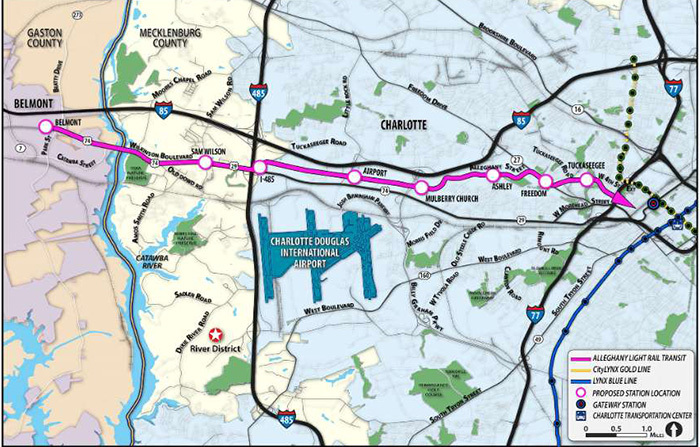 Do we want light rail to change the landscape of west Charlotte, or to minimize impact? Is it better to make the heart of Uptown the “Grand Central Station” or is it better to move all that to the periphery? 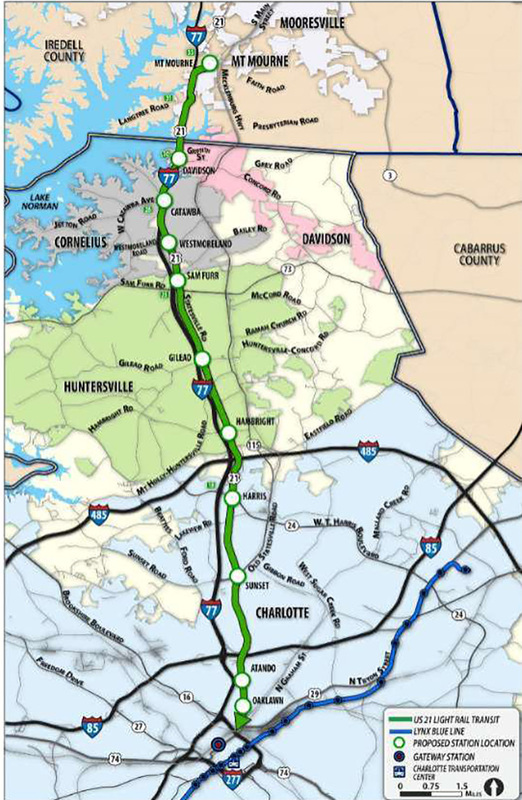 And, of course, the existenial question: Will a tunnel make Charlotte a world-class city? 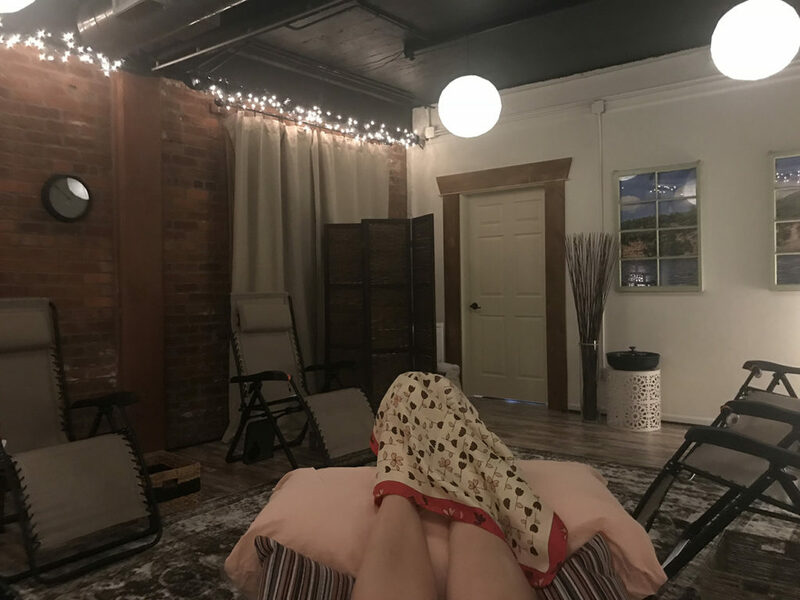 I tried community acupuncture. Here’s my experience.